On his journey in the wilderness he saw a blind man walking on a narrow bridge across a river. Ibraahim shouted: “Be careful! Be careful! Suddenly the blind man was high in the air. He lifted Ibraahim and took him across the river. Ibraahim was left wondering in amazement. He took up residence for nine years in a cave near to Nishaapur. He would spend the whole week inside the cave, emerging only on Thursdays to collect firewood which he sold in Nishaapur. On Friday morning he would sell the wood in Nishaapur. After Jumah Salaat, he would give half of his earning to some faqeer and with the other half he would buy bread which would suffice until the next Friday. 5. In winter the region, including the cave, was covered with ice. One night he was in need of ghusl. He broke the ice and managed to gain from it some water for ghusl. With the iced water he bathed and passed the remained of the night in Salaat. By Fajr he was shivering uncontrollably as a result of the intense cold. He thought that he would die of the cold. Suddenly he felt something, like a warm blanket, being thrown around him. Feeling the warmth, he fell asleep. When he woke up, the saw that it was a huge snake which had kept him warm by having wrapped itself around him. Overcome with fear, Ibraahim prayed: “I am unable to bear the form in which You have sent Your aid.” As he supplicated, the serpent disappeared into the ground. 26. Once when someone asked him for his profession (i.e. worldly occupation by means of which one earns a living), Ibraahim Bin Adham said: “The office-bearers of Allah are not in need of a profession.” When Mu’tasim Billah asked him the same question, he replied: “I have left the world and the Aakhirah for their searchers. For myself I have chosen Allah’s remembrance in this world and Allah’s Vision in the Aakhirah.” 27. Ibraahim Bin Adham was asked: “Have you ever experienced happiness in your state of poverty?” He replied: “I experienced happiness several times. On the first occasion I was in a boat. My garments were tattered and torn and my hair dishevelled. People were mocking me. A man was repeatedly tugging at my hair and punching me. All expressed their mirth in laughter. Seeing the disgrace of my nafs, I became delighted. The man said: “No one can achieve this. How then can I do these?” Ibraahim said: “If you are unable, then refrain from sin.” The man repented and died in Ibraahim’s presence. “What do you want of that heretic?” Ibrahim demanded. Straightway they set upon him and beat him up. “The elders of Mecca go out to meet him, and you call him a heretic?” they shouted.‘I say he is a heretic,” Ibrahim repeated. When they left him, Ibrahim turned to himself. “Ha!” he cried. “You wanted the elders to come out to meet you. Well, you have collected a few punches. Praise be to God that I have seen you get your wish!” Ibrahim then took up residence in Mecca. A circle of companions formed around him, and he earned his bread by the labour of his hands, working as a carpenter. When Ibrahim ibn Adham left Balkh he left behind him a son. When his son grew he asked his mother one day about his father. His mother advised that his Father is lost.The son the requested that all who desired to perform the pilgrimage should assemble. Four thousand people presented themselves. He gave them all their expenses to cover provisions and camels and led the party to Mecca, hoping that God might grant him sight of his father. Reaching Mecca, he encountered by the door of the Holy Mosque a party of patchwork-frocked Sufis. The son asked them wether they knew Ibrahim bin adham and the Sufi’s replied “He is a friend of ours,” they told him. “He is entertaining us, and has gone to hunt for food.” The son asked them to direct him, and he went in his track. He saw his father unshod and bareheaded coming along with a load of firewood. Tears sprang to his eyes, but he controlled himself and followed his father to the market. There his father began to shout. “Who will buy goodly things for goodly things?” A baker called to him and took the firewood in exchange for bread. Ibrahim brought the bread and laid it before his companions. Witnessing all of this the son thought that if he would say who he was his father would run away as he had ran away before. He went to ask for advice from his mother. His mother advised him to wait until they performed circumambulation of the holy house of God. The next day one of his friends went to look for the caravan from Balkh. As he came closer to it, he saw in the midst of the caravan a tent pitched. In the tent a throne was set, and the boy was seated on the throne, reciting the Koran and weeping. Ibrahim’s friend asked if he might enter. “Where do you come from?” he enquired. 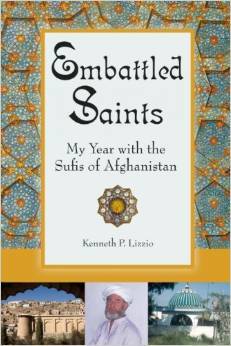 “From Balkh,” the boy replied. “Whose son are you?” The boy put his hand to his face and began to weep. “I have never seen my father, “he said. “Not until yesterday. I do not know whether it was he or not. I am afraid that if I speak he will run away, as he ran away from us before. 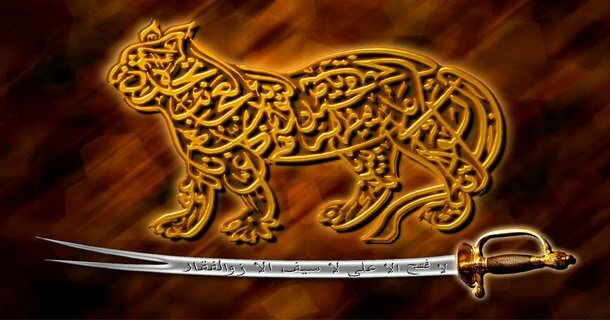 My father is Ibrahim-e Adham the King of Balkh. The man took him to bring him to Ibrahim. His mother also went along with him. As soon as she saw Ibrahim she cried aloud and could not control herself. “This is your father.” she said. All the bystanders and friends of Ibrahim bursted into tears. As soon as the boy recovered himself he saluted his father. Ibrahim returned his greeting and took him to his breast. Then Ibrahim would have departed, but the boy would not let go of him. His mother wailed aloud. Turning his face to heaven, Ibrahim cried, “O God,Come to my assistance!” The boy immediately died. When his companions asked Ibrahim about what happened he advised. Ibrahim was travelling in the desert one day when he was stopped by a soldier. “What are you?” the soldier asked. Ibrahim replied that he was a servant. The soldier asked him where the nearest habitation was. Ibrahim pointed to the graveyard. “You are making fun of me,” shouted the soldier, lashing out at Ibrahim’s head. His head was broken, and the blood gushed forth. The soldier put a rope round Ibrahim’s neck and dragged him along. People from the nearby town stopped at the spectacle. “Ignoramus, this is Ibrahim-e Adham, the friend of God,” they cried. The soldier fell at Ibrahim’s feet and implored him to pardon him and acquit him of the wrong he had done him. “You told me you were a servant,” he pleaded. “Who is there who is not a servant?” Ibrahim replied. “I broke your head, and you prayed for me,” said the soldier. “I prayed that you might be blessed for the way you treated me,” was Ibrahim’s answer. “My reward for the way you treated me was Paradise, and I did not wish that your reward should be Hell.” “Why did you direct me to the cemetery when I asked the way to habitation?” the soldier asked. “Because every day the graveyard becomes more thronged, and the city more deserted,” answered Ibrahim. 1. Three veils must be removed from the traveller’s heart so that the door of happiness is opened to him. First, should the dominion of both worlds be offered to him as an eternal gift, he should not rejoice. The second veil is that if he possesses the dominion of both worlds, and should it be taken from him, he should not feel sorry for his poverty. The third is that he should not be misguided by any praise or favour, for one who is misguided like this, is a low person and the low person is veiled. 2. If you would like to be a saint of God, then desire not the things of this world or the next. Empty yourself for God. Turn your face to Him so that He may turn to you and make you His saint. 3. Wara (abstaining) is the abandonment of whatever is dubious, and the abandonment of whatever does not concern you, means abandoning whatever is superfluous. 4. I delighted in Islam only three times. One time I was on board of ship and there was a man who laughed often. He would remark; “We used to grab an infidel in the land of the Turks thus,” and he would tug at my hair and shake me back and forth. This would please me. Another time I became ill in a mosque. The man who made call to prayer told me to get out, but I could not. So he grabbed me by my foot and dragged me out of the mosque. The third time, I was in Syria, and I was wearing fur. I looked at it, and I could not distinguish between its hair and the lice, such was their abundance. In “another tale, he reported: “My joy was never greater than the day I was sitting down and a man came and urinated on me.” At another occasion, I was sitting and a man came and slapped me. He must close the door of bounty and open the door of hardships. He must close the door of dignity and open the door of humility. He must close the door of comfort and open the door of striving. He must close the door of sleep and open the door of vigilance. He must close the door of wealth and open the door of poverty. He must close the door of worldly expectation and open the door of preparedness for death. 6. O God, You know that in my eyes the eight Paradises have little worth when they are compared with that honour which You have shown me in giving Your love or that familiarity which You have given me by the commemoration (dhikr) of Your Name or that freedom from all else which You have granted me when I meditate on the greatness of Your Glory. 7. You enjoy the gifts of the Lord, but you do not offer gratitude to Him. 8. You do not so act as to avoid Hell and enter Heaven. 9. You know the Devil is your enemy but you do not deal with him as such. 10. You know death must overtake you but you make no preparation for it. 11. You consign your dead parents to the grave and yet you do not take lessons from the incident (and feel as if you are immortal). 12. You know that you have many faults, yet you try to find faults within others. 13. When you commit a sin against God, do not partake of His food. 14. When you desire to commit a sin, get out of His kingdom. 15. Commit sin at a place where He cannot see you. 16. At the time of death seek a few moments respite from the messenger of death that you might repent during that time for your sins. 17. Do not allow the angels Munkir and Nakir to approach you and question you about your past deeds. If you cannot perform this, then vow never to sin. Another story of true love and friendship with Allah Almighty can be seen in the life of Hazrat Ibrahim bin Adham (r.a). Hazrat Abu Ishaq Ibrahim bin Adham (r.a) is considered with great esteem in circles where people seek guidance and Truth. This noble saint belongs to the generation of the Taba Taba’een i.e. he was one of those fortunate believers who witnessed the earlier generation who had seen the exalted companions of the Holy Prophet (saw). Hazrat Ibrahim bin Adham (r.a) was the pupil of Hazrat Khidr (a.s) and was the leader of all of his contemporaries. He had the honor of meeting many excellent people of his time, which includes Imam-e-Azam Hazrat Abu Hanifa (r.a). This changed the life of this king so that he repented before Allah Almighty and gave up his kingdom in favor of obedience and worship of the Almighty. The Karamaat of Hazrat Ibrahim bin Adham (r.a) are very famous and his words of wisdom remain a fountain of guidance for all. It is said that when Hazrat Ibrahim (r.a) had given up his kingdom and was living in solitude in his shabby tent near the river, some people who had heard about his piety and love of Allah, came there to meet him. When they met Hazrat Ibrahim bin Adham (r.a) they were greatly impressed and offered him gold coins as gift. The saint declined the offer straightaway. Hazrat Ibrahim (r.a) was stitching his old rags with a needle when one of the people who had come to meet him asked him how it happened that he had given up his kingdom and riches. Hazrat Ibrahim (r.a) threw away his needle into the river and then signaled in the direction of the river. Suddenly, there were fish everywhere on the surface of water carrying a golden needle in their mouth, to give to Hazrat. For the true love and friendship of Allah Almighty is the name of becoming an enemy of desires of your own self. He who has had the connection with the Almighty leaves all desires, his comforts and pleasures lie only in love of Allah Almighty.